Client access is the term we use for any page where your client interacts with Táve. It’s your contact form, questionnaires, contracts, quotes, invoices, payment pages, client portal, etc. One of the greatest parts about Táve is how free you are to customize this so it feels just like the rest of your business. 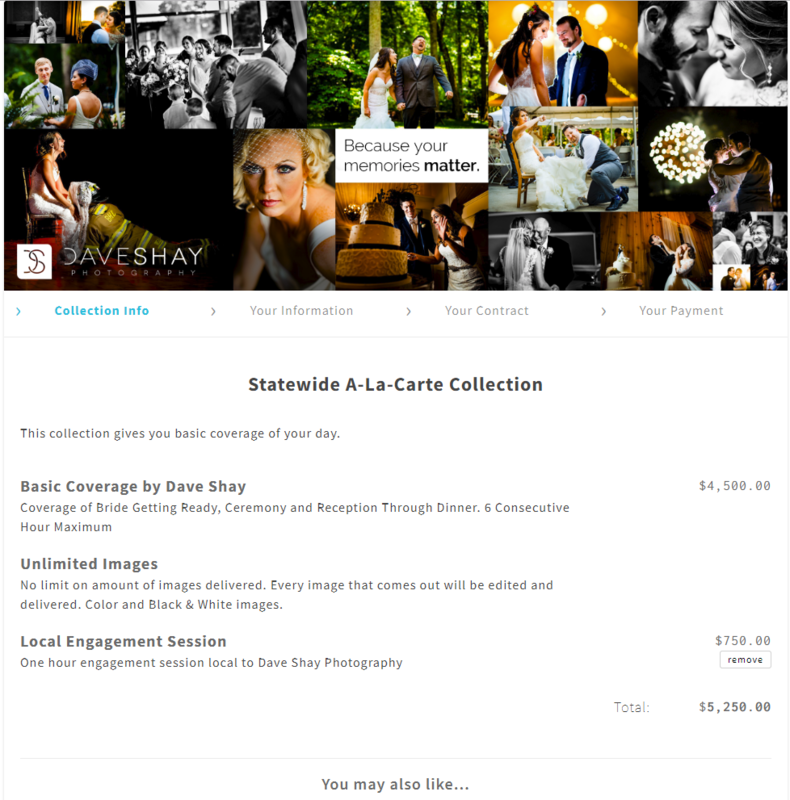 We’ll do that by customizing the ‘Look & Feel’ of your brand in Settings › Branding. All accounts will have one brand by default, but adding a second one can be a great way to strengthen your business and grow it at the same time! Do I Need A Second Brand? Page Background - Appears in the background behind your content. If you leave this empty, it will just use the color from Page Background under "Colors" below. Printout Logo - A smaller logo that appears in the top right corner of your orders and invoices. All of these images are optional, so don't worry about putting an image in every section. Most studios just use the Page Header and Printout Logo. Make sure to check the recommended sizes for these. If you want a starting point, we've made some Photoshop templates just for you! 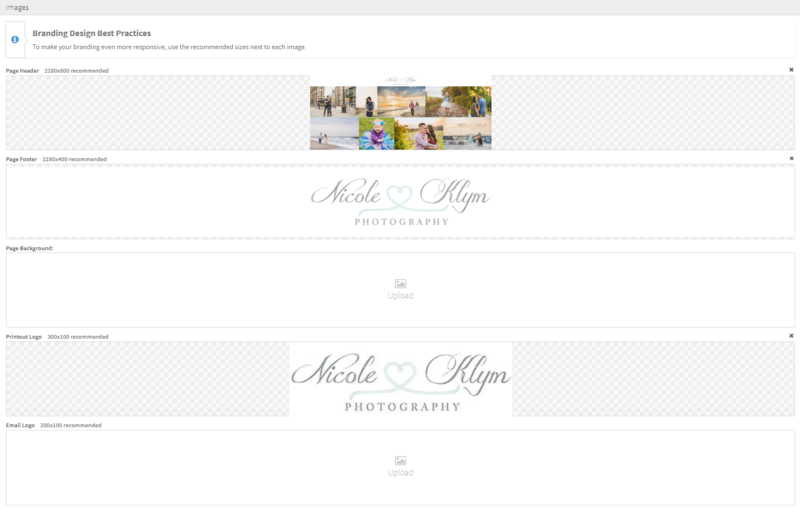 Once your images are uploaded, you can customize colors as well. You can quickly preview what this looks like by clicking the link under the root contact form for this brand. If you want to see what a full quote or invoice looks like, you can always create a test job and add your quote to it, then just click the Direct Link option to see what your clients will see. Branding above is for Dave Shay Photography (Weddings) in a quote. 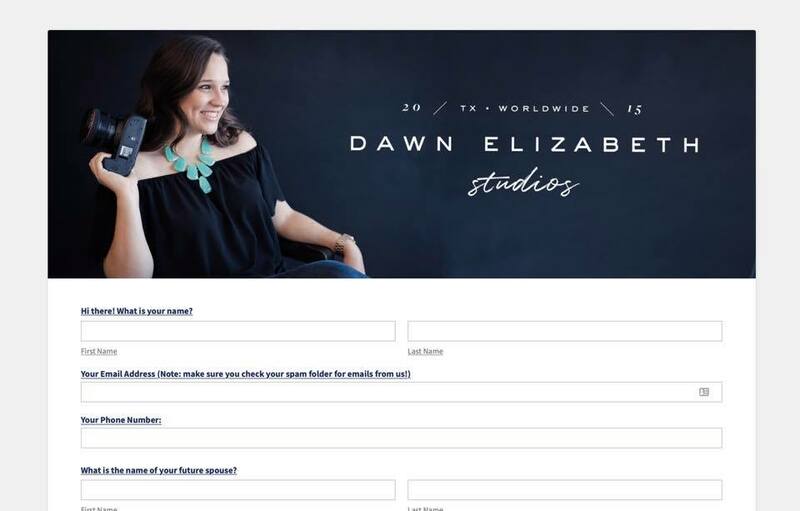 Táve user Dawn Elizabeth shows her simple branding in a public questionnaire. Táve is a constantly evolving software and our CSS is subject to change at any time. This means you'll want to keep eye on things and make sure your code still looks perfect. As wonderful as our support team is, they're experts in Táve, not CSS, so we do not provide official support for CSS. Any changes you make are done at your own risk.